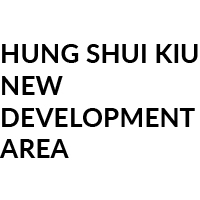 Strategically located in the NWNT and well connected to Tin Shui Wai (TSW), Tuen Mun and Yuen Long, the HSK NDA will serve as a “Regional Economic and Civic Hub” for the NWNT. Moreover, the NDA is conveniently connected to the strategic transport infrastructure including the Kong Sham Western Highway, the proposed Tuen Mun Western Bypass, as well as the Tuen Mun – Chek Lap Kok Link and the Hong Kong-Zhuhai-Macao Bridge under construction. It is also close to Shenzhen, and efficiently linked with the new development nodes at Lantau and the Greater Pearl River Delta region. Given its strategic location, the NDA will provide plenty of solution spaces in the NWNT to meet the surging demand for various economic land uses, including land for offices, retail, hotels and special industrial uses, and positioned to become the “Regional Economic and Civic Hub” for the whole NWNT region. The HSK NDA will provide about 150,000 new employment opportunities, bringing jobs closer to residents not only in HSK but also TSW, Tuen Mun and Yuen Long. The development of the NDA will also help reduce the imbalance in the spatial distribution of population and jobs in the territory. The HSK NDA will be the next generation new town of Hong Kong. Upon full development, the NDA will provide homes for about 218,000 residents, including 176,000 new population. The NDA will help redress the imbalanced housing mix and facilities provision of the TSW New Town. Together with TSW, Yuen Long, Tuen Mun New Towns, and the Yuen Long South development under planning, it will form a major new town development cluster in the western part of the territory, further promoting agglomeration of economies and efficiency in facility and infrastructure provision. A series of civic and Government, Institution and Community (GIC) facilities will be provided in the HSK NDA. There will also be an integrated pedestrian and open space network for the whole NDA, creating a good quality and sustainable living, working and business environment with easy access to the surrounding established development areas.